A storage unit is great for housing items you do not use on a regular basis, but self-storage units do have some limitations. You should not store some items inside your unit due to significant safety and legal concerns. Learn what objects you should avoid to ensure you are prepared on moving day. Avoid housing items inside the storage unit that can potentially cause physical harm. Household cleaning agents, pesticides, and gasoline are common dangerous solutions you must not store in a storage unit. Harmful chemicals can create breathing hazards and cause eye and skin injuries if they leak from their containers. Hazardous leaks can also damage or destroy your belongings. Chemical solutions are typically combustible, so in the event of a fire, the substance could cause an explosion. Give any questionable items away or plan to store them elsewhere. Ask an attendant if you have questions about a particular product. You cannot use a storage unit to house an animal. Storage units are not acceptable forms of shelter, even if the unit is climate controlled. Animal storage is a form of neglect. You could be reported for animal cruelty if you ignore this guideline. Dead animals should also not be stored inside the unit. A dead animal will attract pests and create problems for other tenants. Take the animal to a taxidermist for proper preservation first. You are welcome to store your car, boat, RV, or other vehicles in your storage unit. But the car must be registered. A valid registration from any state is satisfactory. Your name must also be on the record. You cannot store a vehicle that you are not the legal owner of. If the car is in someone else's name, the owner would need to add their name to the rental agreement. You will also need to maintain insurance coverage for the vehicle. Self-storage coverage plans generally do not extend coverage to motor vehicles. Perishable items in a storage unit attract rats and other vermin. Pests have keen noses that can pick up the scent of food from far away. You will have a hard time getting rid of pests once your unit is labeled as a food source. In addition to fresh food, canned goods, pet food, rice, and bird seeds should not be housed inside the unit. Food-scented candles and wax could also be a problem. You should also avoid packing your belongings in food boxes from a local grocery store. Food residue on the boxes could also attract rodents. Buy moving boxes instead, as they are cleaner and sturdier. Storage units are not ideal environments for aerosol cans. The temperature inside an exterior unit can reach triple-digit readings during summer, and aerosol cans are particularly heat sensitive. With prolonged heat exposure, pressure can build excessively inside the can. Over-pressurized cans eventually explode, and the fragments from the container will function much like shrapnel. 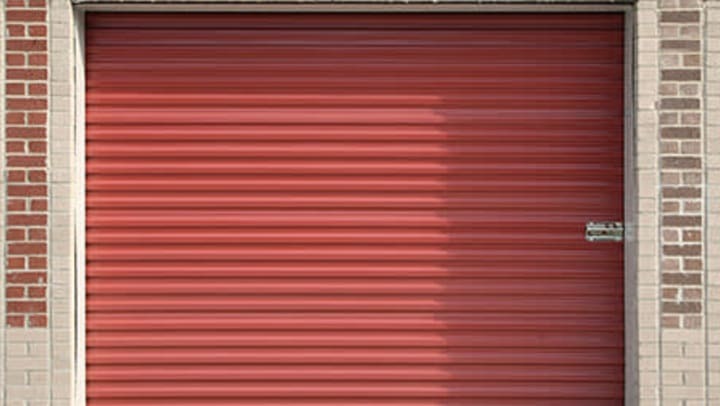 Any person near the storage unit could suffer serious injuries, and your belongings could also be damaged. Remnants from the can could even rip through the walls and cause damage in neighboring units. Even if your storage unit is climate-controlled, the dangers of aerosol cans are not worth their risks. When everyone does their part to create a safe environment, every person benefits. At Cardinal Self Storage, we strive to ensure all of our tenants' belongings are well protected, and we are happy to extend this benefit to you. Are you in need of self-storage? Contact us so that we can discuss the dos and don'ts of storage to keep your belongings protected.